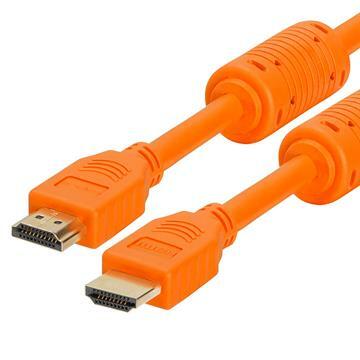 Orange HDMI cord is what stands out from the boring old colors everyone is using. With this HDMI cable orange devices will look even brighter and better. From 1.5 feet to 15 feet, there are many sizes to choose from. Also, if you have a cluster of HDMI orange cables one will manage to stand out. This will help your organize your cables better.